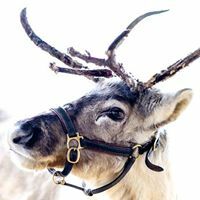 Somerset Reindeer Ranch is a small, professional, family run business nestled in the heart of Somerset in the sleepy village of Chilthorne Domer near Yeovil. 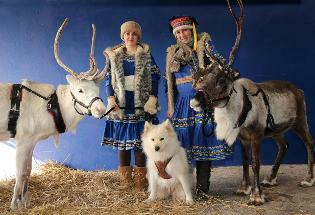 We offer a service to all those wishing to make their Christmas extra special with the presence of real live Reindeer. 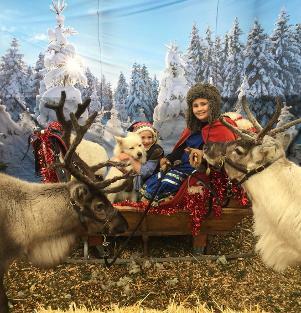 You can hire vintage Sleighs, which can be pulled by the trained Reindeer. Among our list of satisfied customers are schools, local councils, care homes,street fayres and businesses. 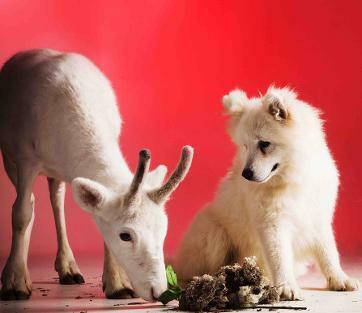 We are willing to add antlers to any occasion!! Remember we book up early so, to secure your date, email us from the Contact Us page. 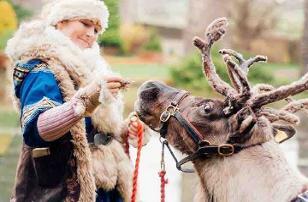 Santa's Reindeer are poised to start trotting to you-this year pulling a little sleigh!